This Christmas morning I served up one of the best breakfast brunches of all time. 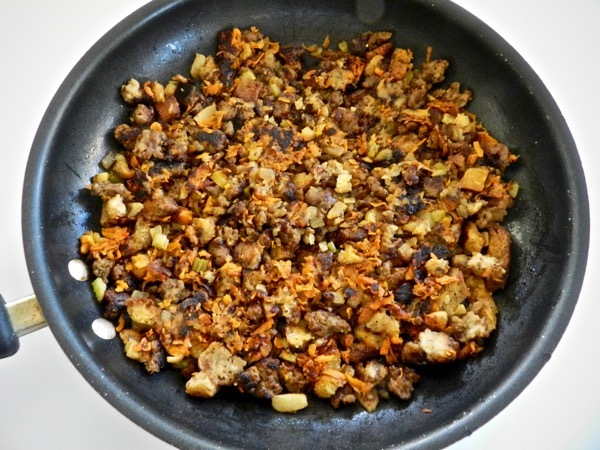 A while back I stumbled upon a recipe for hash using leftover stuffing from the night before. I thought how incredible this would this be with my grandmother’s sausage stuffing topped with poached eggs. But let’s be serious who has the time or wherewithal to whip up stuffing, make a hash, and poach eggs for a crew- all on a holiday morning? The key is to make all the components well in advanced. Then before everyone sits down quickly sauté, simmer, and serve up a meal that’s sure to become a hallmark of the holiday season. Last night for our Christmas Eve feast we had beef tenderloin, Brussels sprouts with bacon, and twice baked potatoes with manchego and prosciutto. 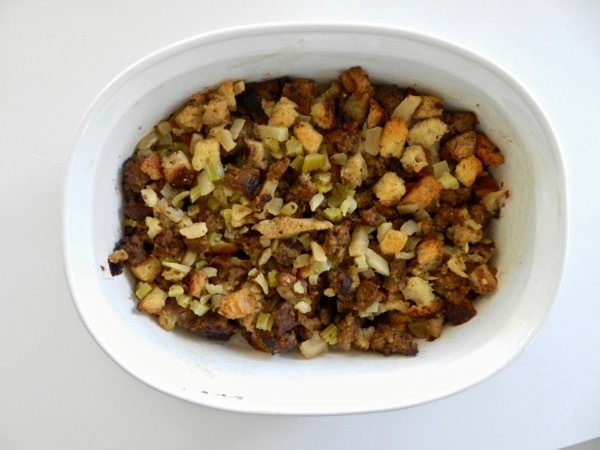 You might be asking where’s the stuffing for the stuffing hash? 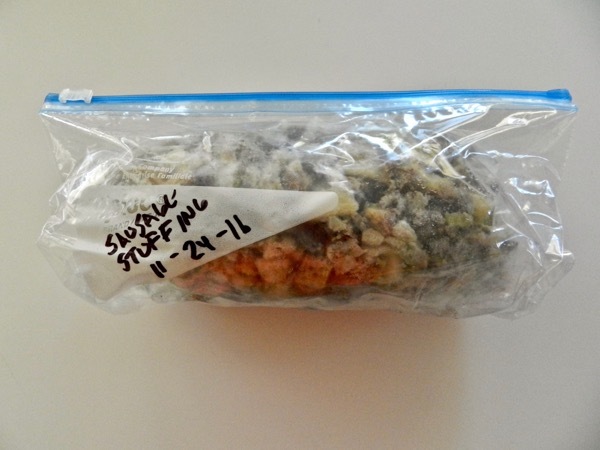 The sausage stuffing was actually in my freezer. I made a double batch at Thanksgiving. It freezes wonderfully. All you need to do is thaw overnight in the fridge. Toss with a little chicken broth to moisten and bake covered at 350 degrees for 30 minutes. This morning while everyone was sound in their beds I poured myself of coffee and poached up a dozen eggs. It’s easy to do with no distractions. 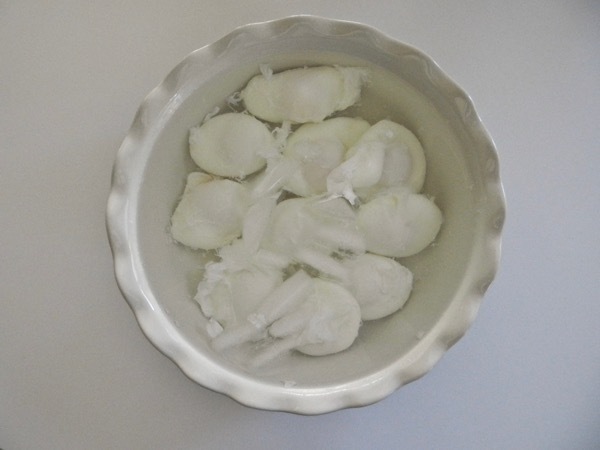 After the eggs have simmered for three-minutes carefully place them in an ice water bath. You can actually poach the eggs up to a day ahead and stow covered in the refrigerator. Right before serving bring a clean pot of water to a boil then gently lower the eggs into the barely simmering water until heated through, about one minute. 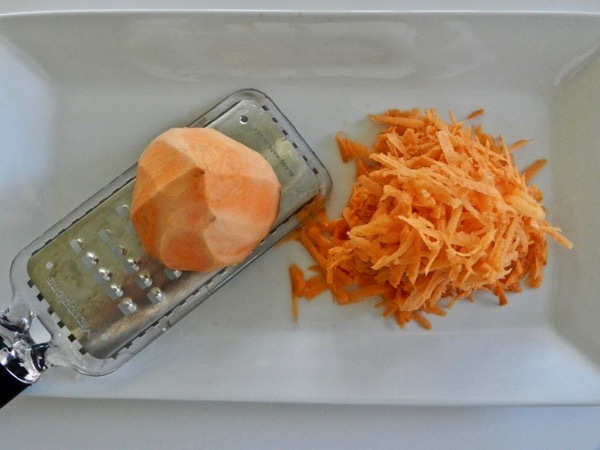 Peel and coarsely grate a medium sweet potato. In large nonstick skillet melt three tablespoon butter over medium heat. Add the grated sweet potato and season with salt and pepper. Sauté, stirring occasionally until tender, about 5 minutes. Add the leftover stuffing, cook pressing down until brown and crisp for about five minutes, taking care that the sweet potatoes don’t burn. Flip the hash and cook the other side for another 5 minutes until crisp. This can be made several minutes ahead of time. Right before serving return to the heat until warmed through. 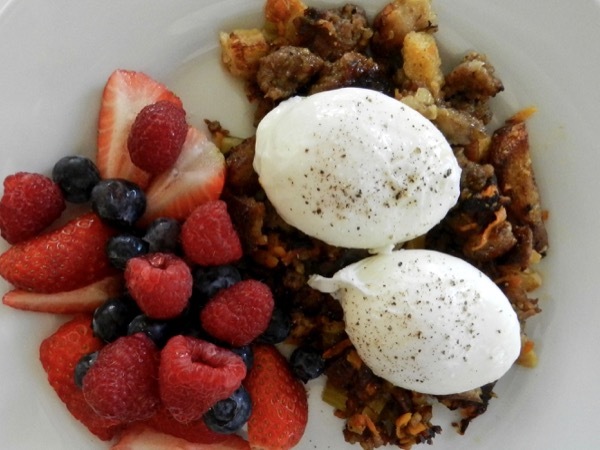 To serve, spoon up a generous scoop of hash. 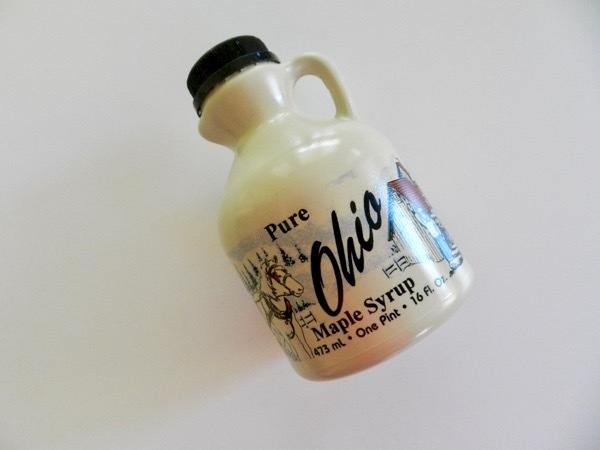 Drizzle with warm maple syrup (don't skip this essential step). Make two indents into the hash with a spoon. 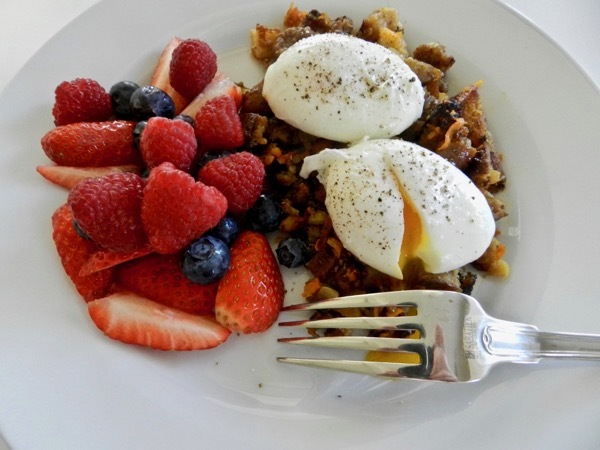 Top with poached eggs. Serve with fruit salad. This one you are going to want to regift again and again! That looks great. I'd love to try it. Yum! Sounds delicious, I'll try this when I get leftover stuffing next time. Thanks. Going to give this a try! Sounds delicious and nutritious too.